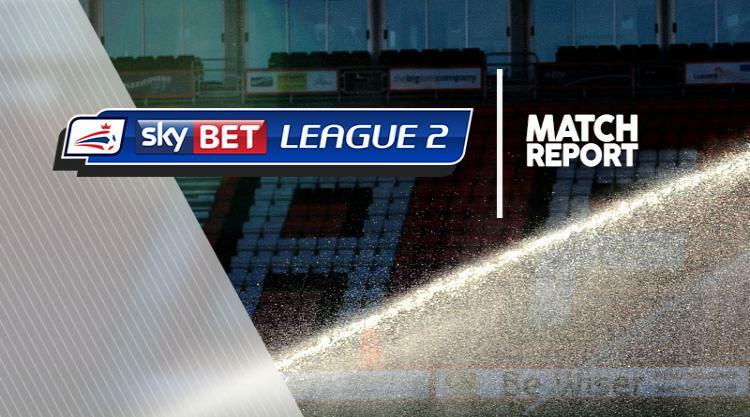 Sky Bet League Two leaders Doncaster won 3-2 at Cambridge to claim their first victory in six matches. Tommy Rowe put Darren Ferguson's side ahead after 18 minutes, firing beyond Will Norris for his third goal in four games, before Conor Grant crossed from the right for Mathieu Baudry to turn home five minutes later. That all came after Doncaster survived a ninth-minute penalty, which saw Cambridge's top scorer Luke Berry lift his spot-kick over the bar after goalkeeper Ian Lawlor was dubiously deemed to have felled Ben Williamson in the box. Having missed a good chance from close range before half-time, John Marquis made it 3-0 after 71 minutes, scoring his 20th goal of the season from the penalty spot after he had been brought down by Leon Legge. Having offered little, Cambridge got a goal back 12 minutes from time when George Maris thundered a spectacular effort from 30 yards which flew in off the underside of the bar, and Berry headed a fine goal in injury time to give the scoreline a more competitive look.